Thick cardboard cake box, the handle is foldable. The "windows" allow the frosted tops and decorative touches on your Cake to peek through, even when the box is closed. 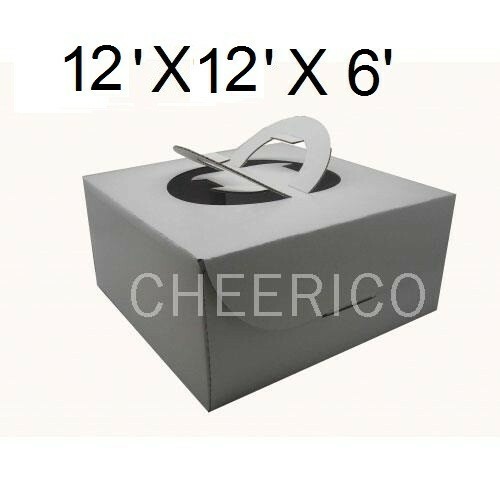 The dimensions of the cake box are 12" x 12" x 6" with a window on the lid. It is a 1 piece box. There is no inserts for the cake box and we normally recommend they be made on a 6" board to fit the box. Easy folding assembly; great for gifts and favors as well.